Doing business in another state, or foreign qualification, can be a confusing process. Foreign refers to LLCs and corporations that are operating outside of the state in which they are incorporated. Foreign qualification refers to registering to do business in a state other than the one in which you incorporated or formed an LLC. LLCs and corporations are only considered domestic in their state of incorporation. To foreign qualify a business, you'll need to register with the state or states where you will do business, which requires paying fees. This registration gives the state notification that you will be doing business in its borders. Going forward, you will be subject to taxes, fees and other requirements in both your state of incorporation and any states of foreign qualification. 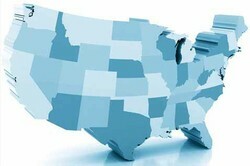 If you're trying to decide where you should incorporate or form an LLC, you may be considering a state that isn't yours. Delaware LLCs, for example, are very popular as the fees are low, but never forget the issue of whether you need to foreign qualify in your own state before you incorporate. Each state has its own criteria, but you'll need to consider whether your company has a physical presence in the state, employees in the state, a bank account in the state and whether you accept orders in the state. If you can answer yes to any of these, you will probably be required to foreign qualify in that state. This should be an important consideration when you choose a state of incorporation. What Happens If You Don't Foreign Qualify? Sometimes business owners fail to foreign qualify, whether out of ignorance or the hope to save on fees. There are consequences to not foreign qualifying, though, as it's required under state law. You can lose access to the state's court system as you will not be recognized as a business there, meaning you can't defend yourself if you're sued. You can also face fines, penalties and back taxes. What About Incorporating in Each State? You have one other option to foreign qualifying in each state in which you do business. You can choose to incorporate or form an LLC in each state in which you'll do business, creating a separate entity in each one. If you go this route, keep in mind you will be increasing your record-keeping requirements. Before incorporating or forming an LLC, it's a good idea to consult with your attorney or a corporate services company to discuss your options and how it will affect your business. Choosing the right entity type is just as important as choosing the right state of incorporation!